If famous landmarks are a measure of a rally, China Rally would have been surpassed only by Acropolis. 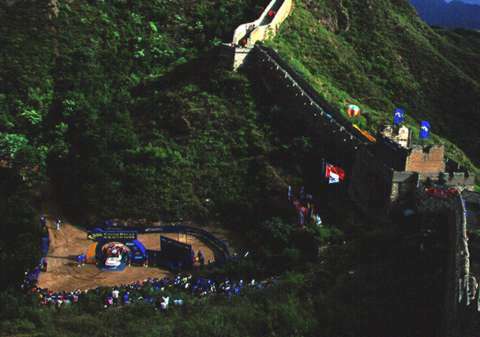 Or what do you think of finishing ceremony held at foot of Great Wall of China? Cultural differences were big and China was included more on political and economical grounds than for purely sporting reasons. Despite lack rallying heritage, organisation worked relatively well and biggest problem was somewhat chaotic traffic, according to some drivers. Route was quite varying as is evident from big differences in average speeds. 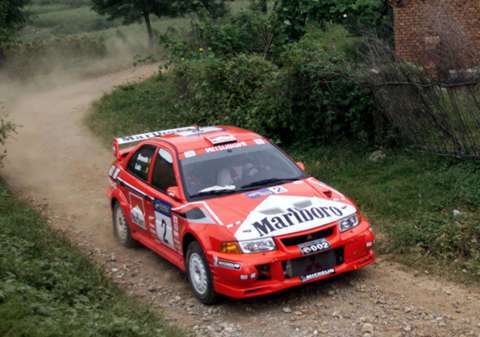 Faster stages were almost twice as fast as the slower ones and none were special spectators stages which routinely are the slowest ones. Weather turned from dry recce to wet in rally and but road surface did not turn into as bad mud as in Indonesia, even though conditions were very slippery in places. For 2000 rally was dropped because organisers could not find enough money to support the event. For internal reasons best not dealt here, chinese officials issued special license plates for each competitor. It is a pity that event went as badly for Ford as it did, both cars retiring two kilometres into first stage. 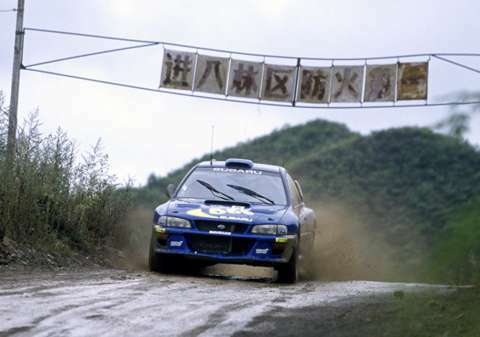 Because of that disaster Ford is not keen to mention the event and no pictures of McRae are available. A pity because Colin had license plate "007", and understandably he was quite amused of it.